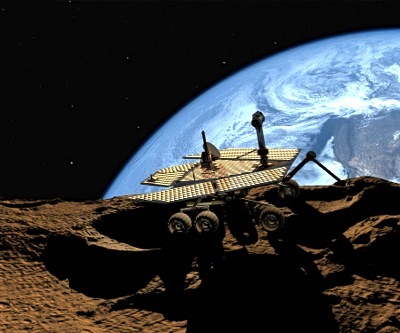 Bellevue, Washington – July 1, 2013 – Planetary Resources, Inc., the asteroid mining company, successfully completed its crowdfunding campaign yesterday to launch ARKYD – the world’s first public space telescope. Over the course of the 33-day campaign, the company generated support from more than 17,600 backers who pledged US$1,505,366 for the cause. This marks the most successful crowdfunding effort for a space project and ranks the ARKYD campaign among the top 25 projects in Kickstarter history. Among the exciting events Sunday, Planetary Resources also announced that Sir Richard Branson has joined its core group of investors. Branson, the Chairman of Virgin Group said, “I’m excited to be part of the Planetary Resources’ team working on extracting precious minerals from near-Earth asteroids. Resources’ core mission to mine asteroids, Branson generously made his own campaign pledge of US$100,000 to back interactive programming to strengthen STEM education, thereby moving Planetary Resources closer to achieving multiple campaign stretch goals (detailed below). An additional 40 of the highest-level pledgers will be invited to the spacecraft unveiling and rocket launch. An elite 10 will have their name or message etched on the spacecraft – visible in every Space Selfie produced – and have an asteroid discovered by the ARKYD named after them (used internally by the company and also proposed as an official asteroid name). Planetary Resources, Inc. was founded in 2009 by Eric Anderson and Dr. Peter H. Diamandis. Our vision is to establish a new paradigm for resource utilization that will bring the Solar System within humanity's economic sphere of influence. The company will conduct low-cost robotic space exploration beginning with the Arkyd Series of space missions that will identify the most commercially viable near-Earth asteroids. These initial missions will assist the company in enabling the retrieval of raw materials from these select asteroids, including water, precious metals and more. Planetary Resources is financed by industry-launching visionaries, three of whom include Google's CEO Larry Page & Executive Chairman Eric Schmidt; and Ross Perot, Jr., Chairman of Hillwood and The Perot Group; who are committed to expanding the world's resource base so humanity can continue to grow and prosper for centuries to come. Some of the company's partners and advisors include the Bechtel Corporation; film maker and explorer James Cameron; former Chief of Staff, United States Air Force General T. Michael Moseley (Ret. ); and Sara Seager, Ph.D., Professor of Planetary Science and Physics at MIT. Members of the company’s technical staff have worked on every recent U.S. Mars lander including Spirit, Opportunity and Curiosity, and include other key non-aerospace and safety-critical disciplines. For more information, please visit www.planetaryresources.com.